Durable and sturdy: Metal Clasps fit seamlessly into your Alta watch interface ensure the stability and security. Easy Installation: Simple and direct installation and one button removal. 3. 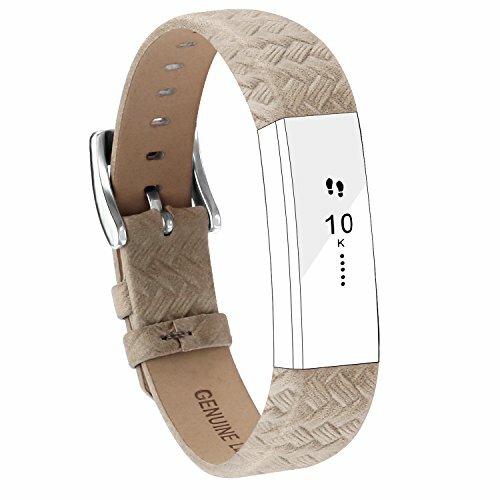 Attentive care the leather bands so that they can accompany you for longer time. We checked all the items carefully before the shipping, however, it might be broken during the transport. If you receive defective Fitbit Alta Bands/Fitbit Alta HR Bands or meet any other problems, please feel free to contact us, we will give you a satisfactory reply within 24 hours. Personalized your Fitbit Alta smart watch with this Alta refined leather wristband Now! Wide Range of Application - For both Fitbit Alta & Fitbit Alta HR; Fits 5.5-8.1 inch wrist, precise multiple alternative holes to adjust suitable length.